Mark began working for Lincoln Financial Advisors in 1981 and has remained with the company ever since. Before being named to his current role as a senior financial planner, he worked as a compliance officer and regional director of financial planning. Mark graduated from Indiana University with a bachelor's degree in business with a major in finance in 1981, pursued a graduate degree at Case Western where he received his MBA in 1983, and received the certification of a CERTIFIED FINANCIAL PLANNERTM Professional in 1987. His professional accomplishments include membership in the Chairman's Council and Top of Council since 1995—the top level of achievement among Lincoln Financial Advisors 2000 agents. Mark's clients have excess of $200 million in invested assets. Mark was voted "Most Valuable Person” for Lincoln Financial Advisors in 1997. In Mark's continued focus to always be moving toward his preferred future and with encouragement of his wife, after 23 years, he moved his family and practice to Denver in 2004 and opened up a second office. An experienced professional in his field, Mark has published articles on financial planning and has been featured in the Cleveland Plain Dealer, SBN Magazine, Properties Magazine, The Wall Street Journal's Smart Money Magazine, listed as a 5-Star Wealth Manager* in Denver's annual 5280 Magazine since 2009 and has also appeared several times on MoneyLine 9 for the Denver NBC affiliate. He is the subject of a biographical review in the 28th edition of Who's Who in Finance and Industry. Yet, he's quick to point out that one of his biggest thrills was his .636 batting average at the Cleveland Indian's fantasy camp in January 2001. Mark is also a passionate fantasy baseball and football player. Mark is involved in many civic and volunteer organizations. 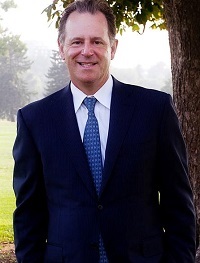 He is currently a board member for the Mountain States Region Anti-Defamation League and has been a board member of the Jewish Family Service Association and mentor for graduate students at the Case Western Reserve University's Weatherhead School of Management. Mark has been involved in coaching baseball and basketball for community athletic association teams and is an ardent runner and avid tennis player. He is also a licensed private pilot. He and his wife, Patty, have traveled worldwide and reside in Greenwood Village, Colorado, with their four children. Mark brings years of experience and research to his financial planning practice. His unique approach to asset allocation, wealth maximization, and estate tax reduction strategies are designed to deliver significant, measurable results to his clients. By focusing on thorough implementation and ongoing service, Mark's objective is to enable clients to help towards achieving their preferred financial futures.